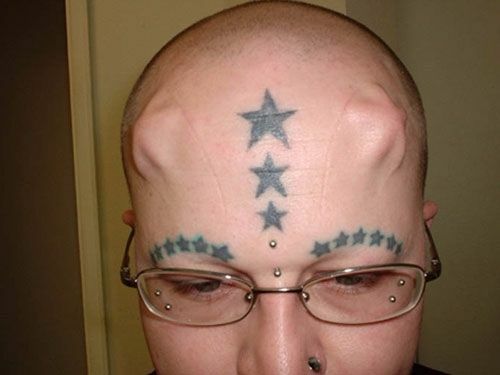 Body modifications have reached a whole new level as people are ready to undergo what so ever to be different and decorate their skin with tattoos, piercings and now body implants too. People have been modifying their bodies using gauges and facial gauges for a long time in Africa and South America. 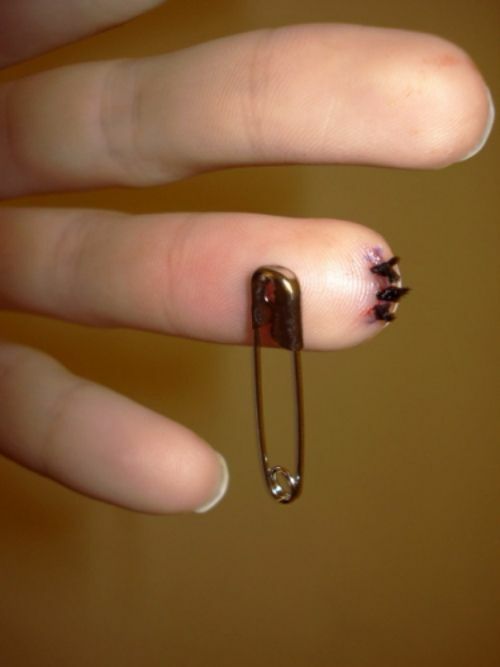 This has caught on and recently became a hip and trendy body modification. 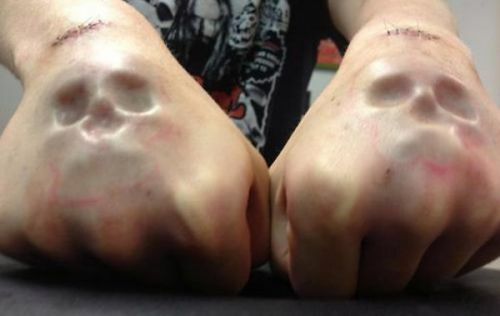 Implants are placed under the human skin to decorate their bodies. There are subdermal and transdermal implants, silicone and saline injections used as implants. From collarbone piercings to deep chest piercings, eyeball implants, magnetic implants, scrotal implants, horn implants, genital beadings, flesh stapling and what not. As weird and gut wrenching it sounds, these oh-so-painful implants are really popular these days. 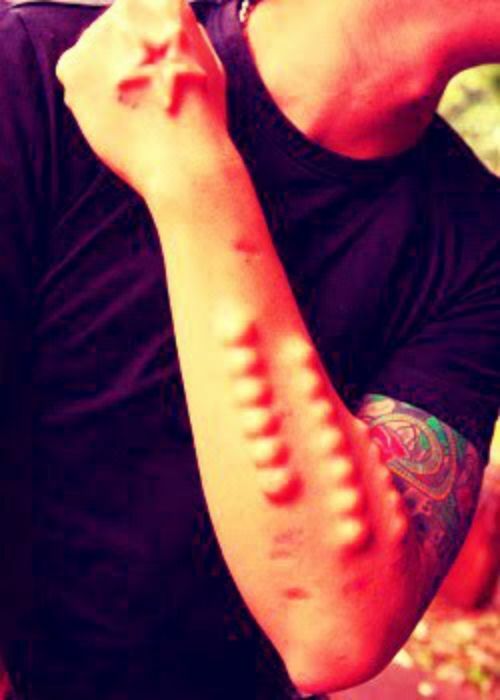 Doctors, medical professionals, and professional body modification artists perform these body implants. A device is placed beneath the skin sometimes with a visible portion of a bead or a spike peeping on the surface of the skin. 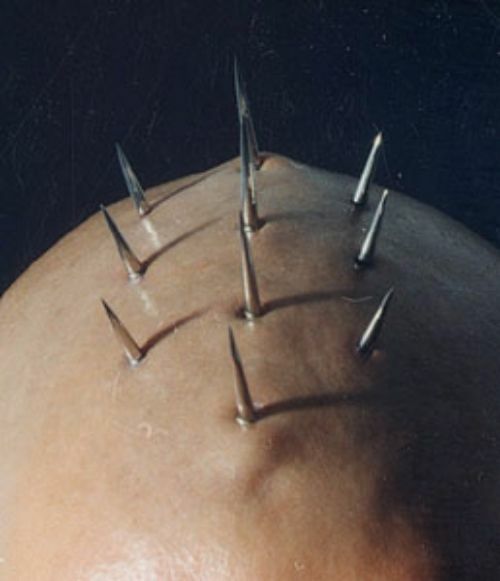 In the case of subdermal implants where objects of different shapes are inserted under the skin. 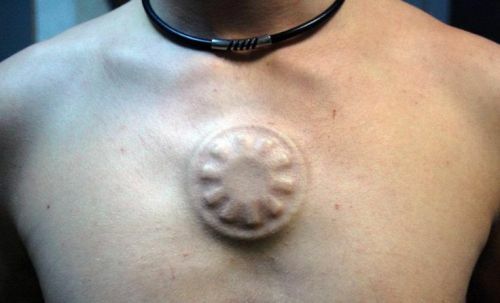 Let’s have a look at some bizarre body implants.